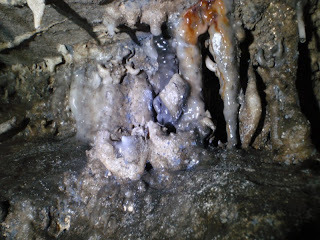 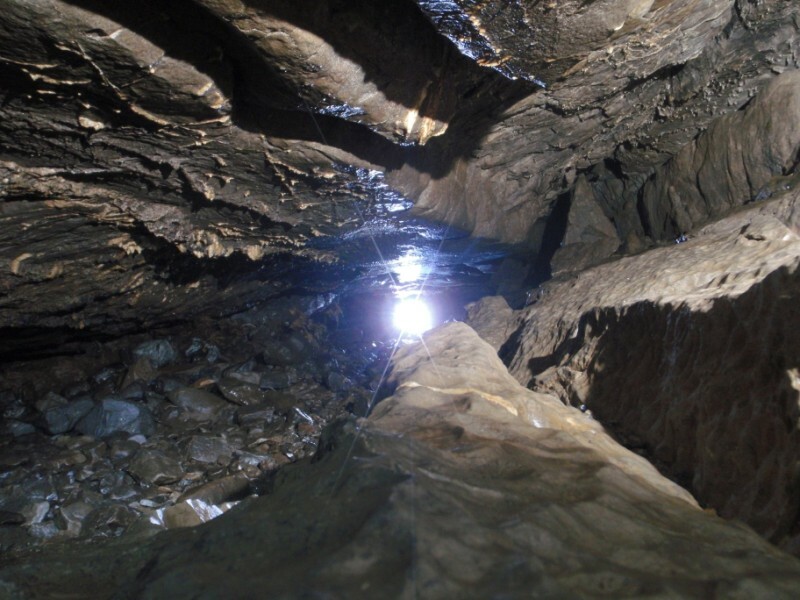 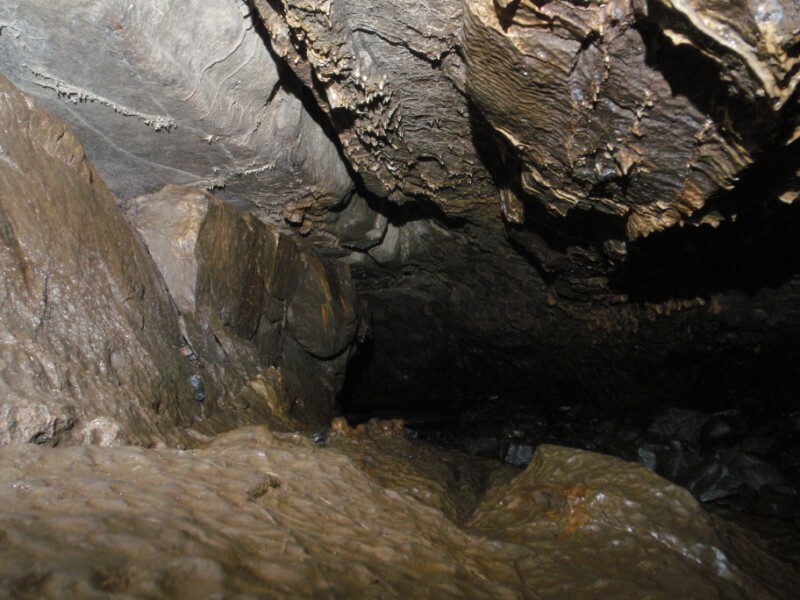 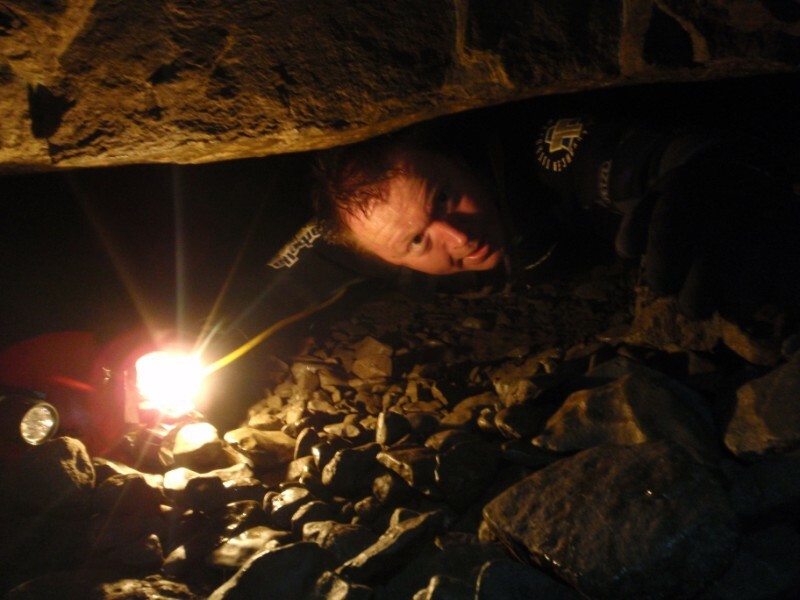 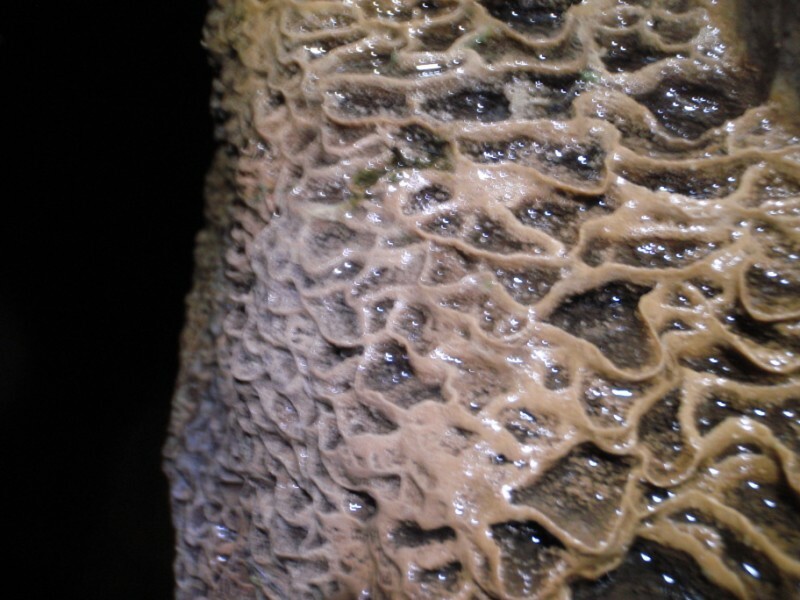 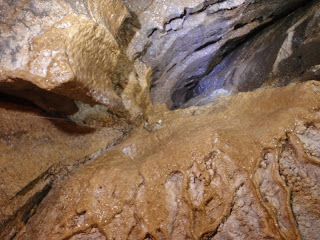 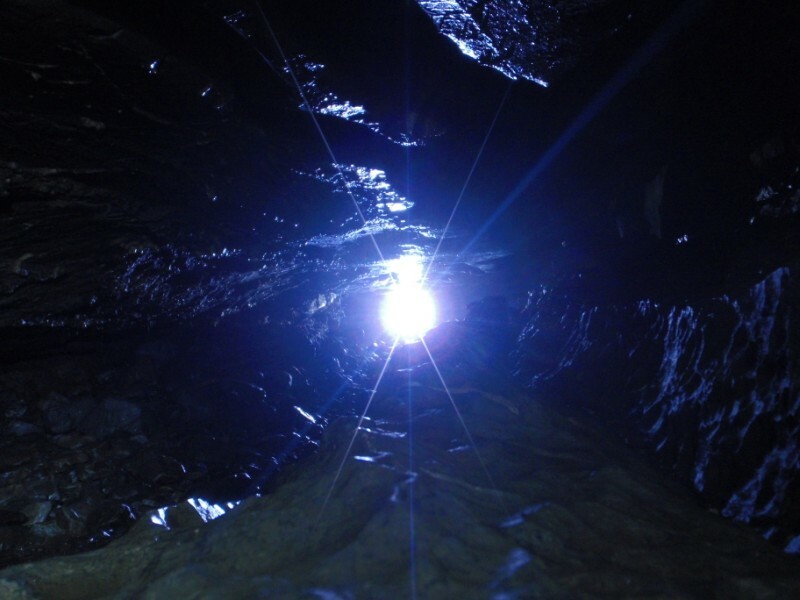 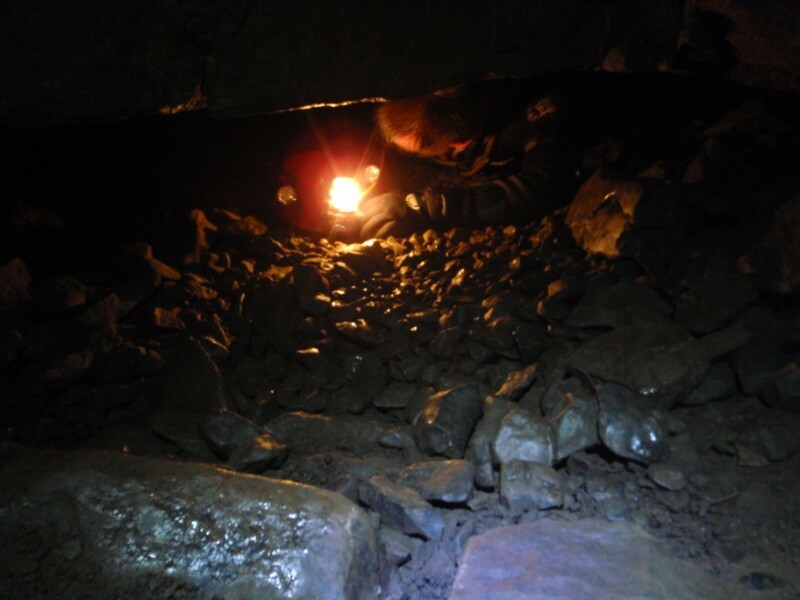 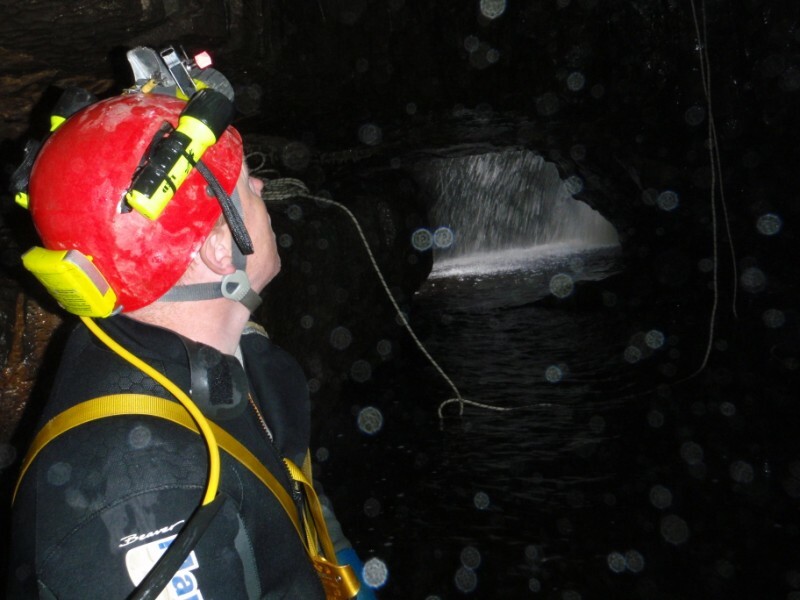 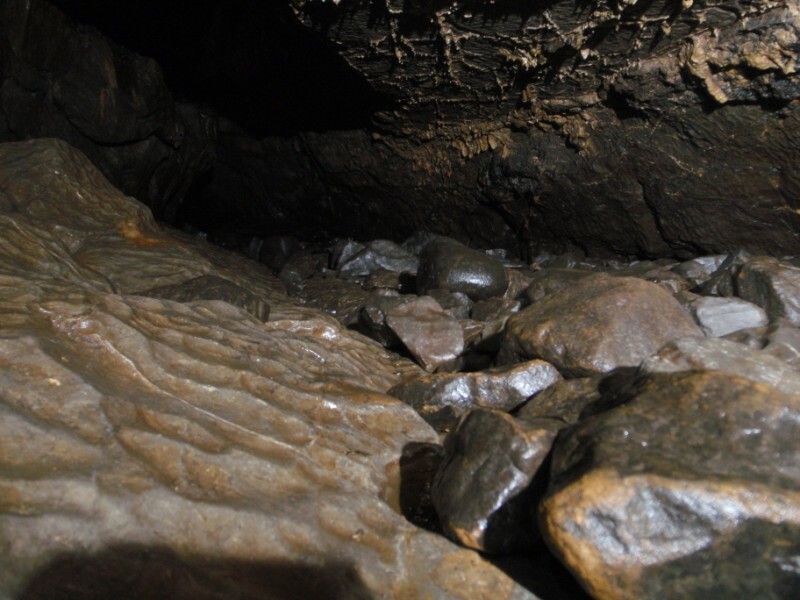 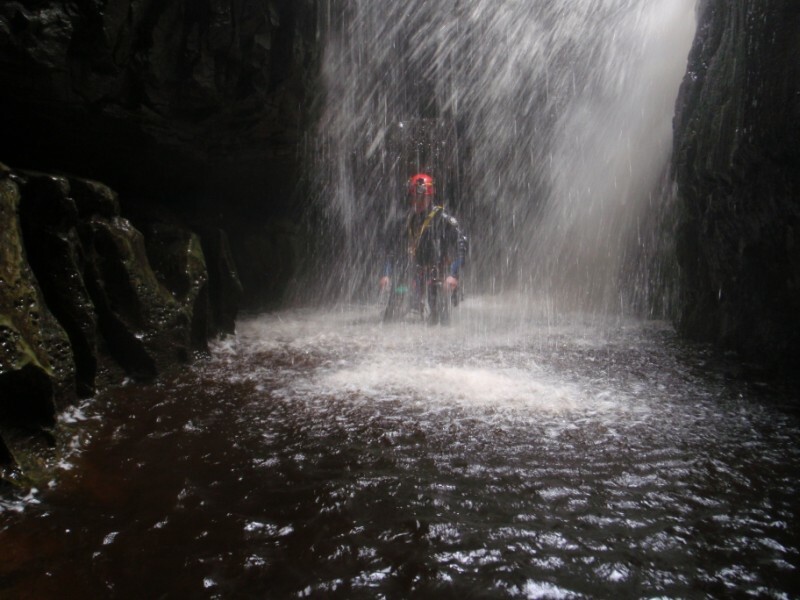 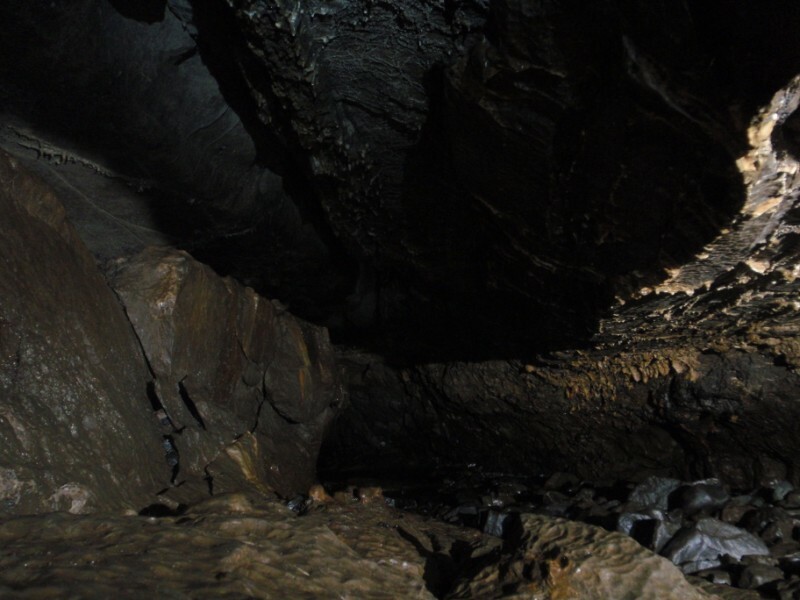 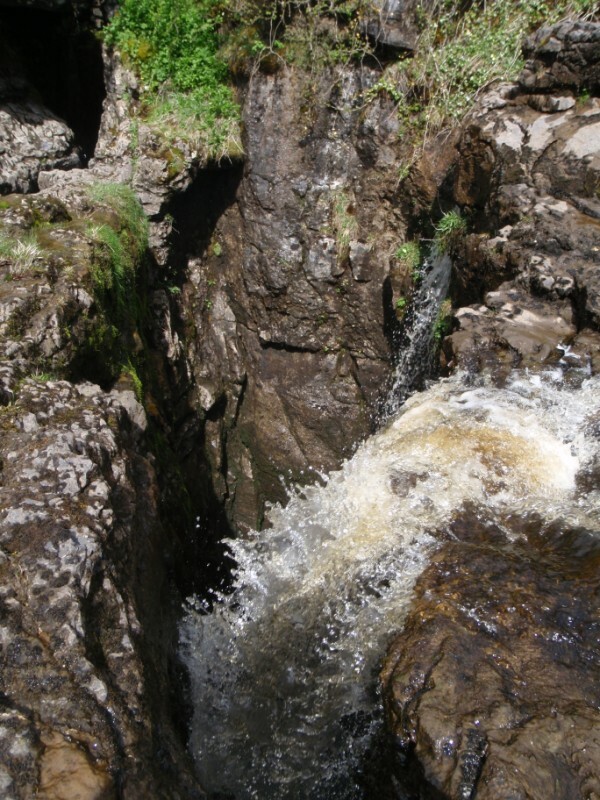 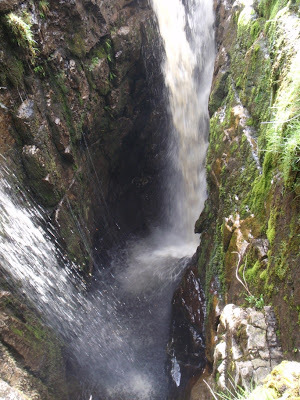 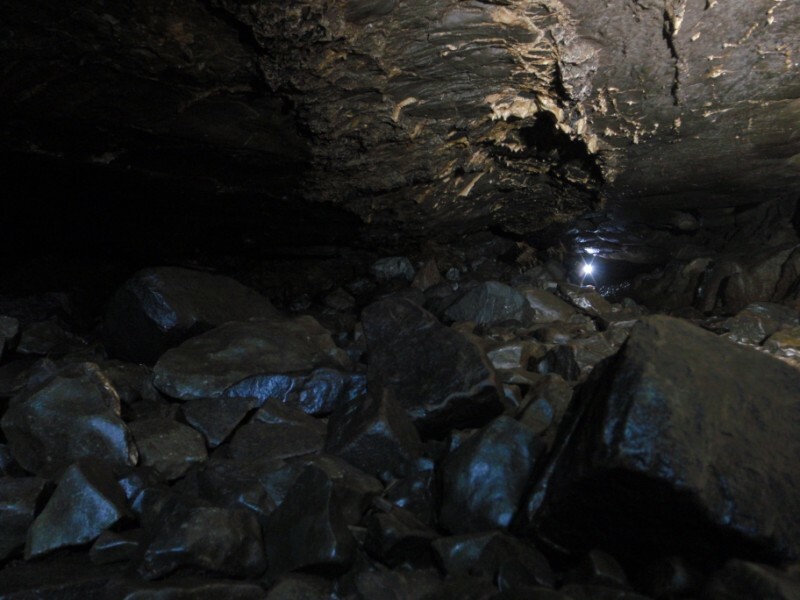 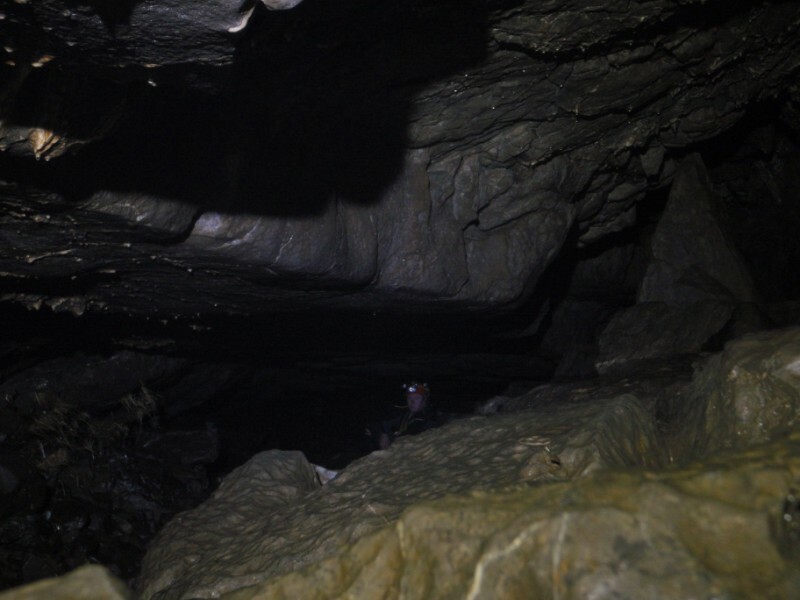 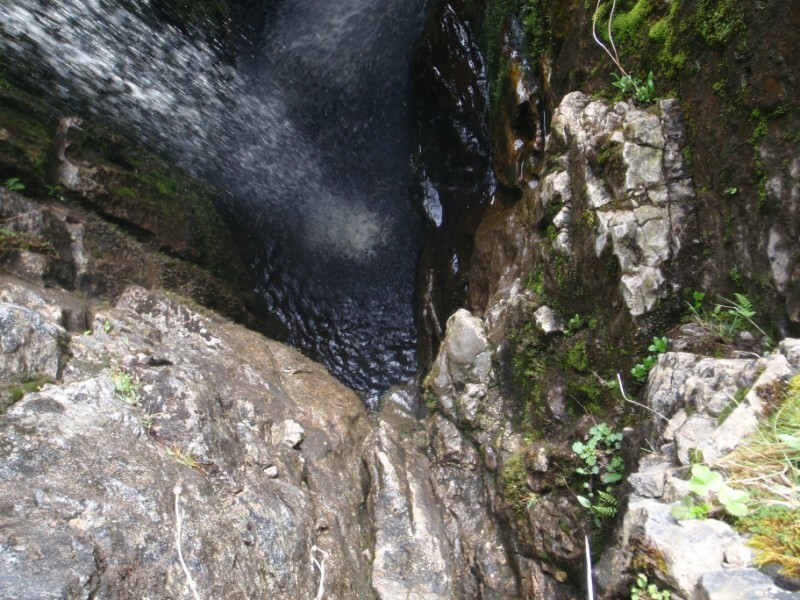 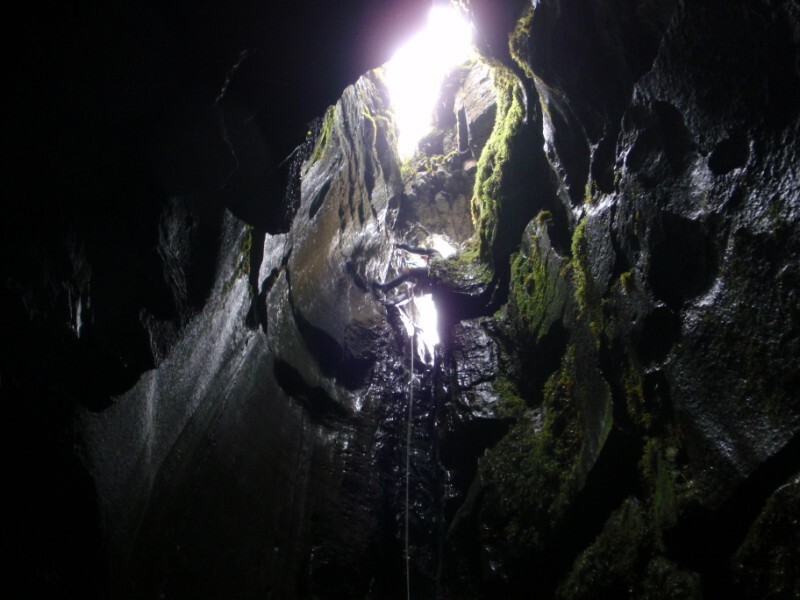 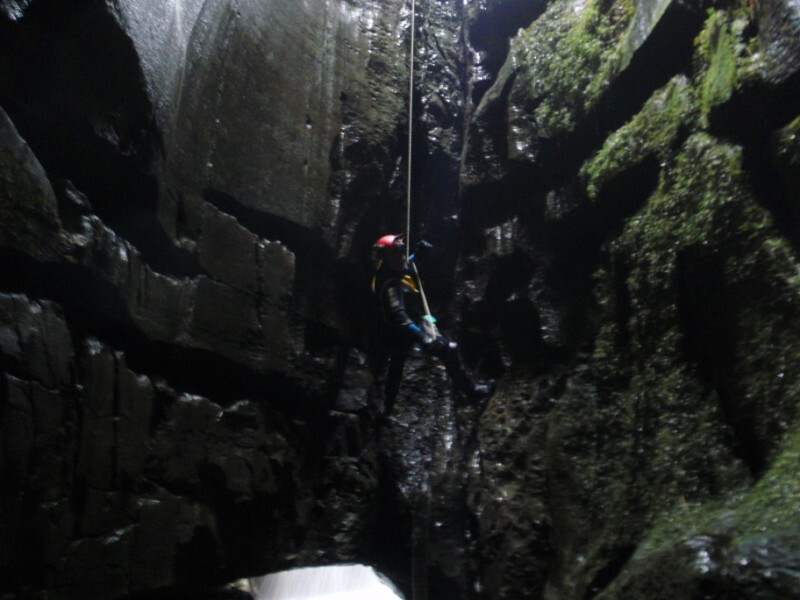 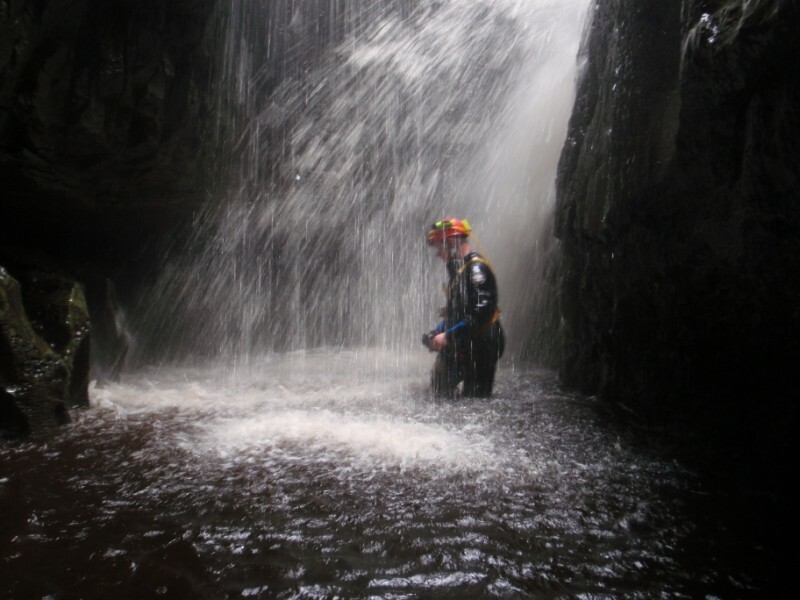 This system can flood rapidly due to ditches further up stream, classification grade 2 with a length of 853m which includes Browgill Cave when done as a pull through cave. 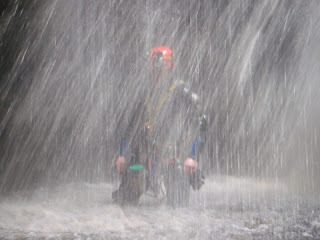 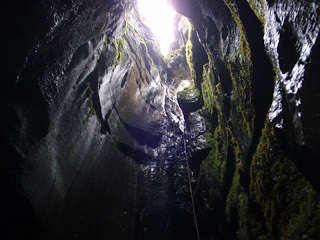 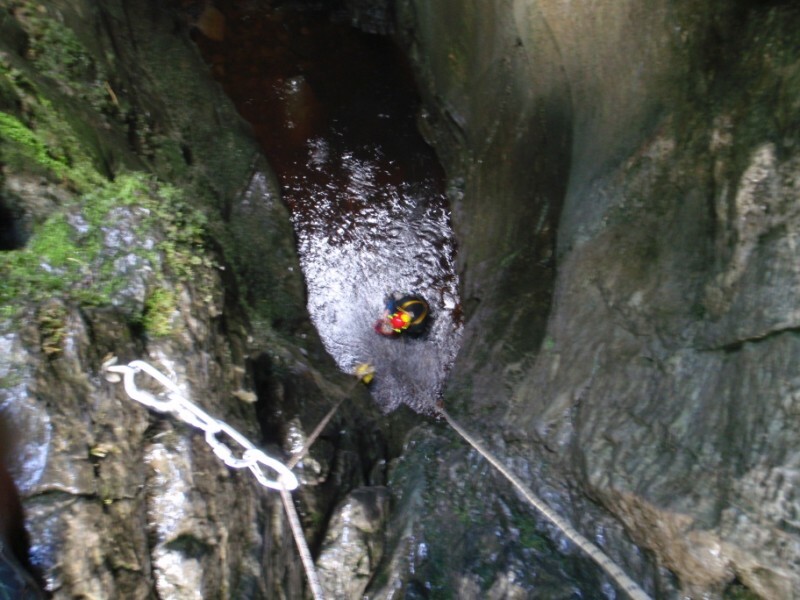 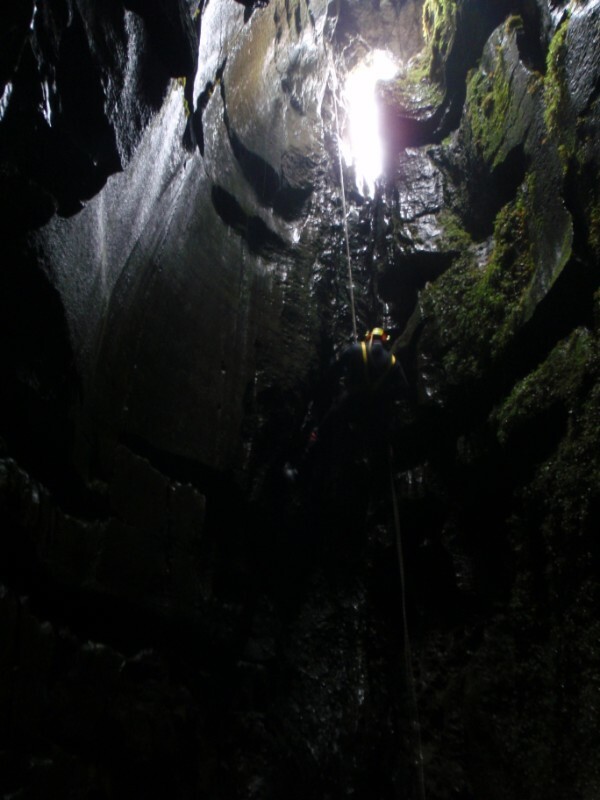 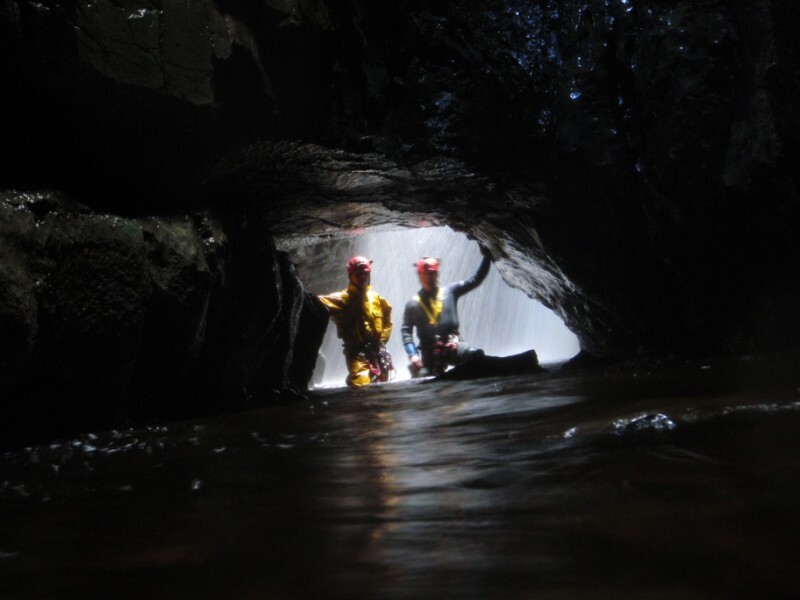 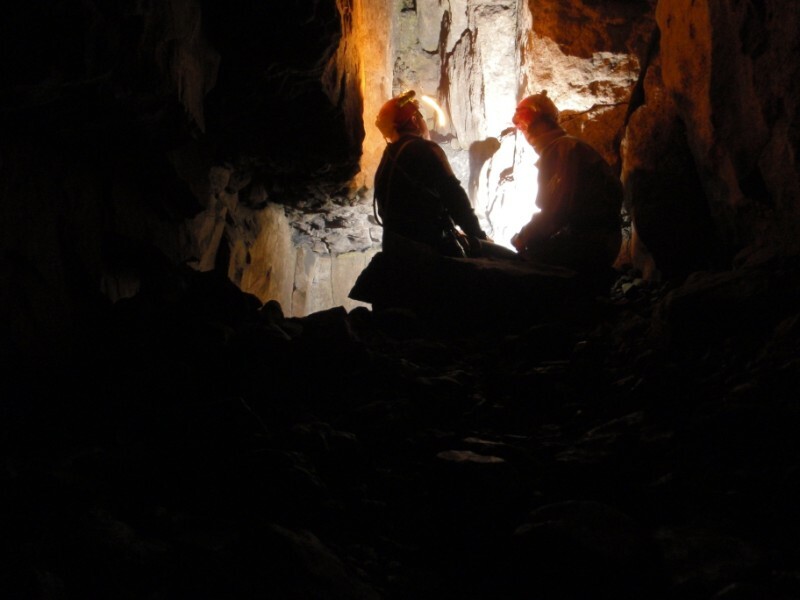 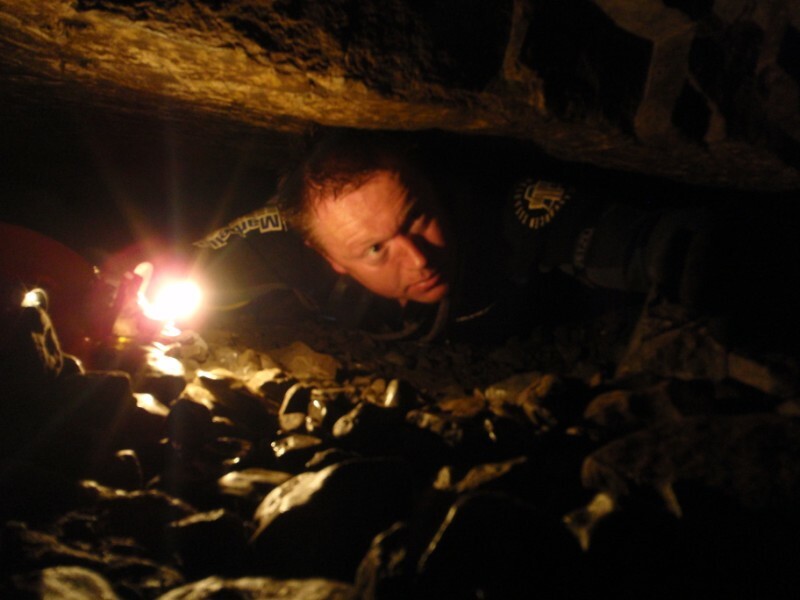 Excellent caving trip for novices weather using Electron ladder and lifeline or SRT, this small system has a little of almost everything with only 1 pitch (unless you also rig the waterfall pitch), Tackle required (as rigged as single pitch) 11m Electron ladder with 2.4m belay, 14m lifeline or 25m for SRT. 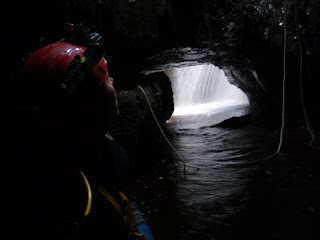 15m pitch gets you in through hole above rock bridge leading to roomy passage going down stream keep on through pools passing 2 parallel rifts to left takes you to the sumps and ahead the water sinks to the left leaving a wide passage with debris and shingle scattered on the floor this passage divides but chokes after high cavern. In the left wall beyond the water sinks a small passage which is a squeeze (Hainsworth's passage), going through this contortion into the Browgill Cave at roof level this is a small chamber just off the stream way, down stream is a 6m waterfall which can be rigged for either Electron ladder and lifeline or SRT or can be bypassed by following the tube to the right which leads to some tat at the top of a staircase climb once at the bottom you can see the waterfall for all she's worth or the other way takes you out of Browgill Cave. 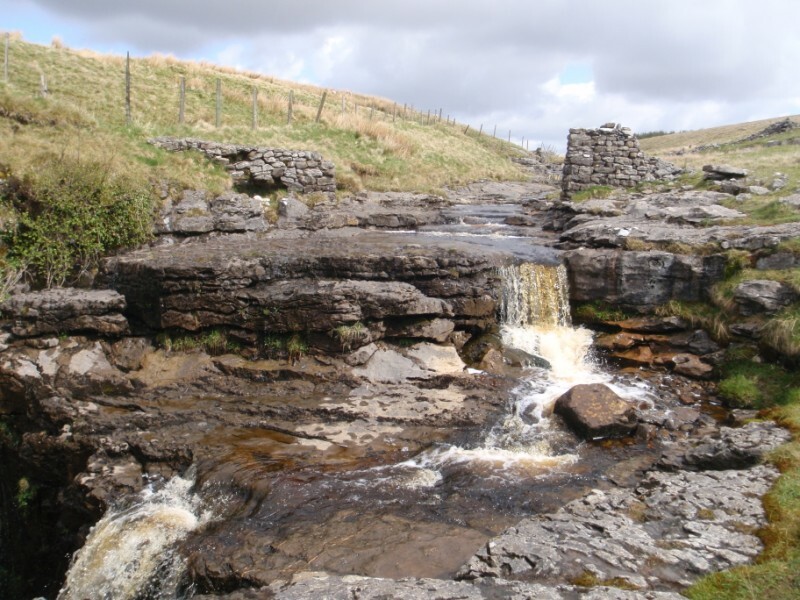 Permission is required via High Birkwith in Horton (farm where a small fee is pays no more than £1 per person). 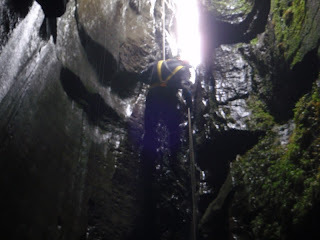 Small vid of me through a squeeze.